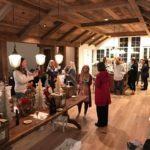 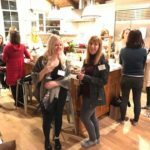 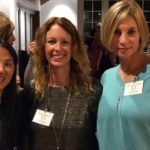 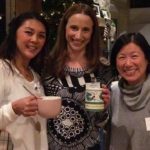 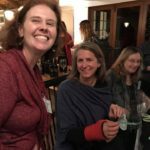 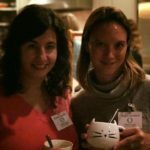 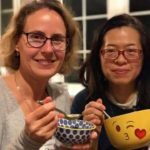 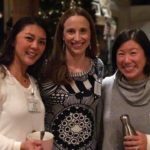 One of the favorite events of the year, is the Orinda Juniors annual Mug Exchange and holiday party. 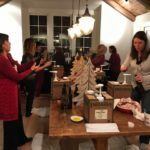 This year, the Orinda Juniors got together and not only exchanged mugs, enjoyed a decadent holiday spread of soups, salads and seasonal treat—we also donated holiday gifts for over 25 children from the Bay Area Crisis Nursery and kicked off a new holiday fundraiser! 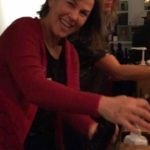 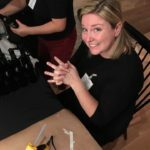 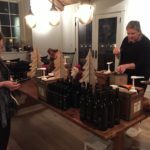 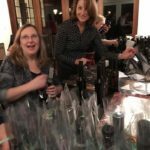 Inspired by our November meeting at Amphora, we bottled 142 bottles of specialty olive oils and vinegars, including Basil Olive Oil/White Peach Balsamic Vinegar, Herb Olive Oil/Fig Balsamic Vinegar, and Gold Medal Arbequina Olive Oil. 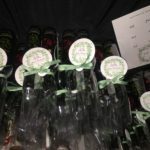 Once bottled, we labelled and packaged them along with some great recipes and then sold them for holiday gift giving. 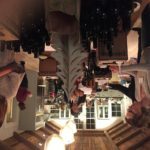 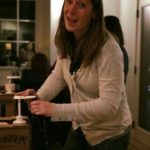 Our best fundraiser to date!